A few weeks ago I was making my normal commute home from Vallejo, California to Sacramento on Interstate 80, and stopped for my normal morning charge before my return trip home. I have had the same commute in my electric vehicle for the last year and honestly, I have not had had many problems running this commute. This morning was different. When I showed up to the EVgo Chargers in Vallejo, located at the Gateway shopping center there was already two EVs charging on the two available DC Fast Chargers, so I pulled up and plugged into the 240V L2 charger to top off and get at least 12 miles, or so range while waiting for one of the DC Fast Chargers. I had to wait for a good thirty minutes while the other vehicles charged. In my case, this was really not a big deal since I was returning home and not on my way to work. If I had been on the way to work this would have been a problem. I would have made it on time, but barely. I usually give my self an extra hour in the morning during my commute to work for potential out of service charges, or situations like I ran into on this return trip. The EVgo network has been very reliable for me in the last year and I have only run into a couple of chargers that were not working correctly but was easily fixed when I called the 800 number and talked with reps who got it going for me. I have read of others having many more problems and this seems to be mostly due to heavy use locations and lack of the number of chargers available, or malfunctioning equipment. 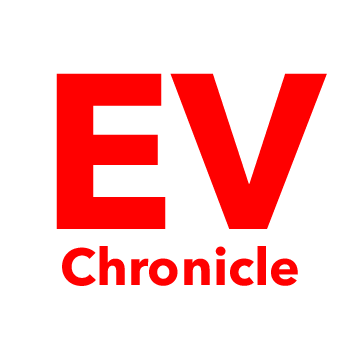 There has been a lot of momentum behind the adoption of EVs in the last year and a building out of the EV charging network by multiple provides like EVgo, ChargePoint, and Electrify America here in the US. Tesla has done a tremendous job with their proprietary network and owners of Tesla’s seem happy, except for in some high congested regions like the Bay Area in California that have caused some bottlenecking and wait times to SuperCharge. A recent post on the Model 3 Owners Facebook page by one Model 3 owner was questioning why Tesla had not made the Model 3 capable of using the CHAdeMo adapter yet and that he wanted to use it because how ridiculous the lines were getting at the SuperCharger he uses in the Bay Area. A Tesla Model S owner posted that the SuperChargers are starting to look like Model 3 conventions. In my opinion, this points to potential upcoming SuperCharger congestion in high use areas. This also has the potential to bottleneck other EV charging networks. There has been further momentum with EV charging technology. I am happy to see newer EVs like the newly released E-Tron by Audi, the Jaguar I-Pace, Hyundai Kona, and Kia Niro being manufactured that will be able to take advantage of new high-speed DC Fast Chargers, and in turn, benefit from shortened charge times. The not yet released 2019 60 kWh Nissan LEAF has been spied test charging at 102 kW. GM just announced they are working on 400 kW capable charging with Delta that will provide 180 miles of range in 10 minutes. These newer EVs are boasting an 80% charge in 30 minutes, which will greatly help charger congestion. Not only do these newer EVs charge faster, but they also are going the distance. 240 miles plus, and upwards of 300 miles is becoming the norm. EVs capable of longer distances will decrease congestion at DC Fast Chargers since most charging will be done on 240V L2 charging at home, and DC Fast Charging will mainly be used for longer travels. Let me know your experience with charging your electric vehicle and what your thoughts are on the current charging network. Leave comments below! a leaf is not viable for long range travels, you need either a tesla or a phev for longer range rides. It just so happens I bought a Bolt EV a couple weeks ago and with 240 miles of range it just keeps going and going, and I only charge L2 at home now. The LEAF worked great for my previous commute, but when I started my new commute I mention in this article it did not take long for me to start the hunt for an EV that could tackle the job. I like many others was tempted by Tesla. Being an EV enthusiast I have driven a few Teslas like the Model S and a performance Model 3. I even took the Model S on a family trip to Yosemite and fell in love with it. Right now, the Bolt made more sense for me as a daily commuter. That being said, the charging infrastructure still needs to improve as I said in the article. I am encouraged by the new EVs coming out and the buildup of the charging infrastructure. Thanks for your comment.